About Us - De website van rs-dh! Ron Smeets is an FEI level rider for more than 30 years, he is the owner, head rider and trainer on his own dressage stable in Hulsberg. In the south of Holland (between Aachen and Maastricht). The team he is working with consists of 4 people on a yard with 30 horses. Ron started his showing career when he was 14 year old and he started training with Sjef Janssen (husband and trainer of Anky van Grunsven). Sjef trained Ron for 15 years and in the last few years together Ron started to work for Sjef where he trained and showed horses together with Sjef. Later in his career Ron also trained with other trainers like Bert Rutten , Henk van Bergen, Jo Willems, Jaques van der Harst and Raphael Heiligers. 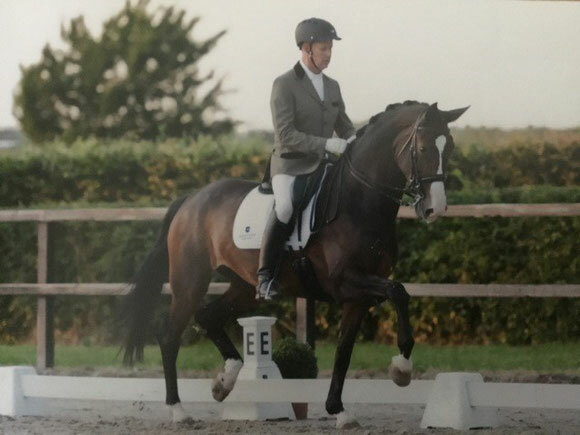 Ron won several national titels in his carreer and competed international shows as a young rider and later as an senior rider. Ron as 18 year old after winning his first National title in 1985. Ron as Young Rider on one of the horses he competed on the international level with. 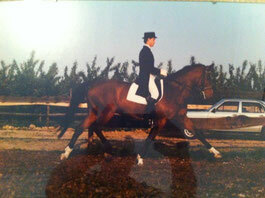 Ron has trained many horses up to Grand prix level and showed many horses true his whole career. He is still showing horses but mainly the upper levels as a preparation for international shows. The other riders show the younger horses on the lower levels.